Stackpole and Partners and First Trade Union Bank celebrated the second edition of the highly successful “On the Road with First Trade” Concert Series developed in partnership with 92.5 the River, Boston’s Independent Radio. 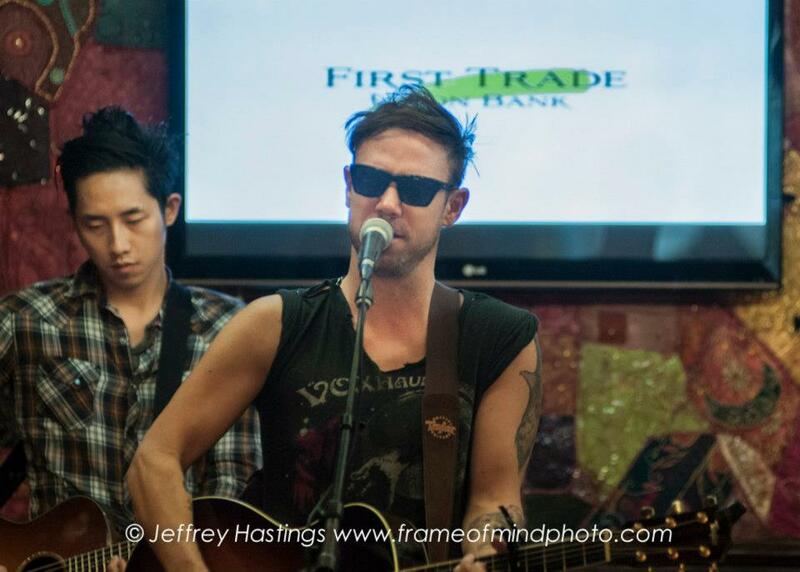 On May 10 at 1:00 pm, First Trade welcomed The Airborne Toxic Event to the Foundation Room @ The House of Blues on Lansdowne Street for an exclusive lunchtime concert and meet-and-greet for First Trade and River 92.5 VIP guests. The Airborne Toxic Event’s latest album, “Such Hot Blood,” was released in the U.S. on April 30. The “On the Road with First Trade” Concert Series debuted March 26 with a performance by Dawes in the Foundation Room @ The House of Blues. Guests at each event are treated to a musical menu of songs and refreshments, a live interview with the band, along with photos and autographs, all compliments of First Trade. The 2013 “On the Road with First Trade” Concert Series will include a total of six private shows before an audience of River listeners and bank customers and prospects. Visit theriverboston.com for more information.